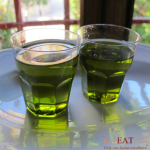 The direct sale olive oil Tuscany is a direct sale other than the online sale olive oil Tuscany. The classic Tuscany olive oil sale has always been done by going directly to the mill to buy the crusher's products. Online sale olive oil Tuscany are made through the internet and offer the possibility to buy oil or other products comfortably from home. This sale is often entrusted to existing e-commerce platforms, which, behind a brokerage cost, sell the products making them visible on the Web. The direct sale olive oil Tuscany is an innovation of all this; it's like selling oil directly from the crusher but it's online. This means that you can buy it directly from your own home without going to the mall, but without any brokerage costs that an e-commerce applies. These costs obviously affect both the manufacturer and the consumer. What happens in our direct sale olive oil Tuscany department is that we connect directly to producer and consumer without any brokering.